1. 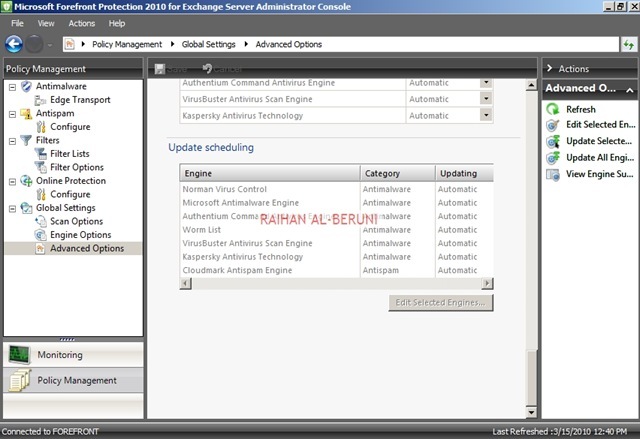 On the TMG computer (or using the remote management console), open the Forefront TMG Management Console. 2. 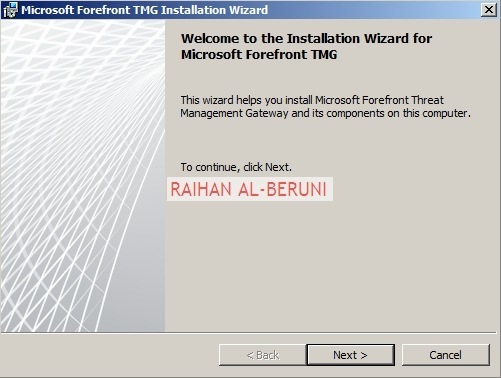 Click Forefront TMG (Array Name) in the left pane. 5. 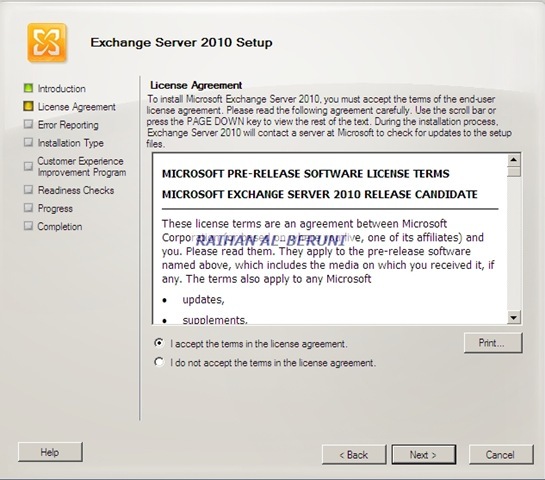 The next step allows you to define two options: the internal mail server that TMG will send e-mail to and the domain from which TMG will accept messages. 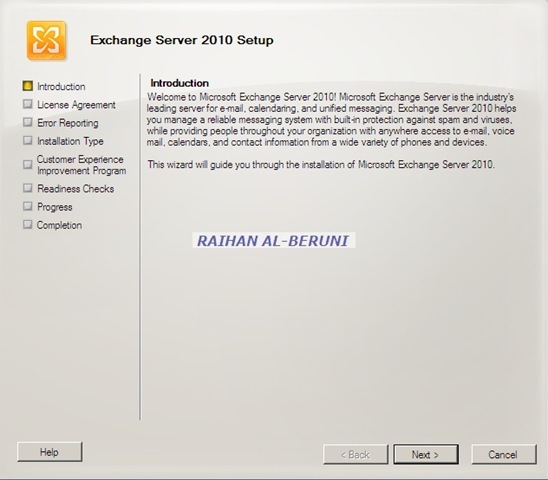 The internal mail server for this scenario will be the Exchange 2007 Hub Transport Server (Example: 10.10.10.10/24) and TMG will accept messages only when the destination is domain(Example: wolverine.com.au). 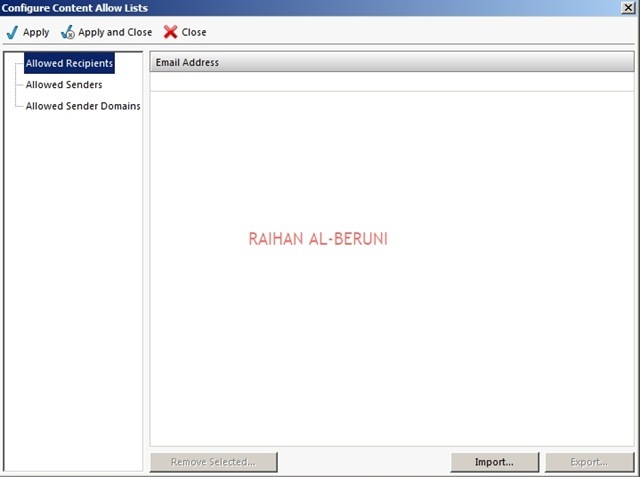 If you have multiple domains and multiple HT within your organization you also can add multiple entries in this option. the page of the wizard that allows you to perform this configuration. 9. Click OK. The Internal Mail Server Configuration page now shows the accepted domains, Click Next to continue. 13. 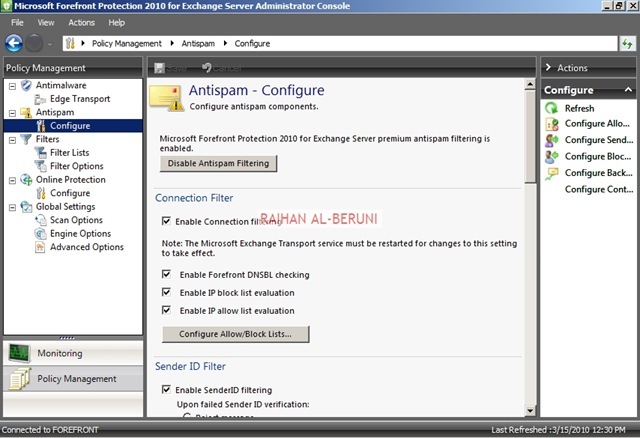 Click Next and the Mail Protection Configuration page appears. 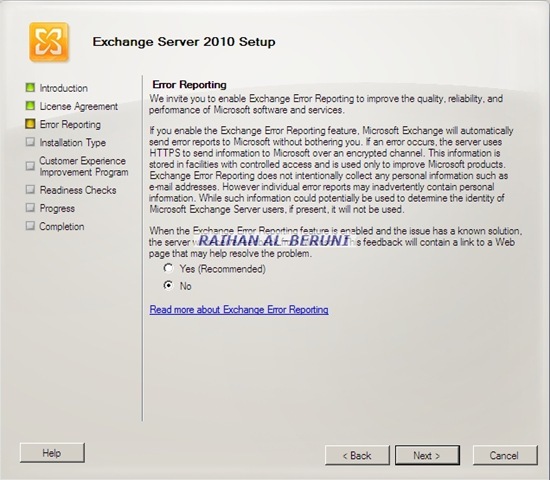 Select both options (Enable Spam Filtering and Enable Virus And Content Filtering). 15. Click Finish. 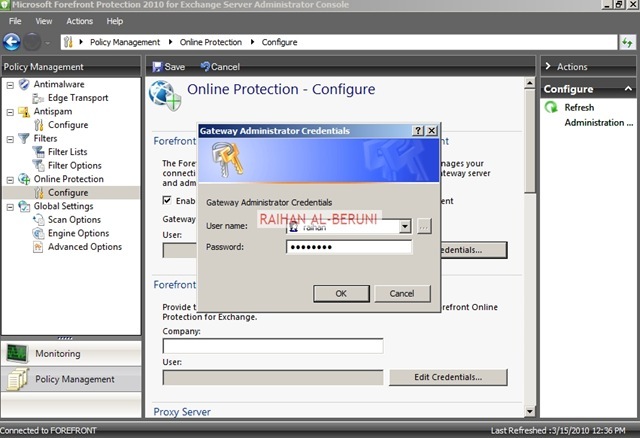 The dialog box appears, asking whether you want to enable the system policy for SMTP Protection. Click Yes. 17. 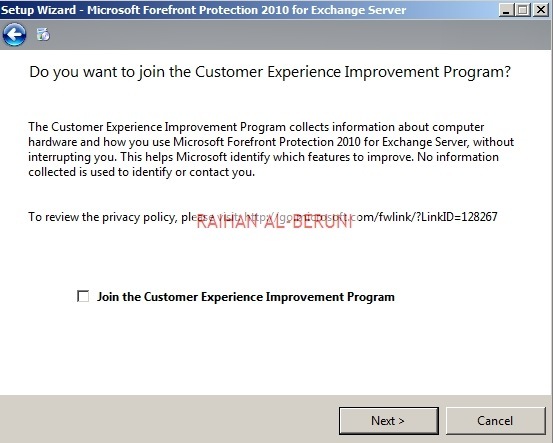 Click Apply to save the changes and then click OK.
18 Apply changes. Close TMG console. 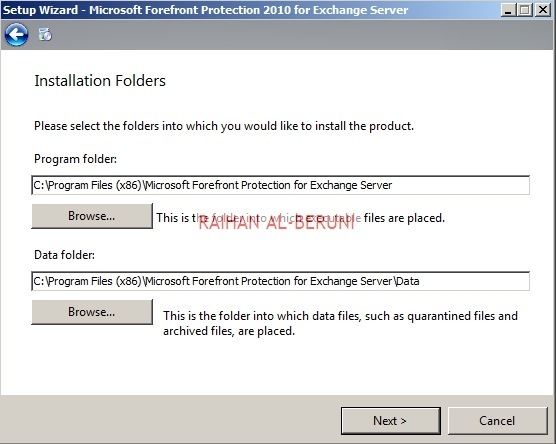 Microsoft Forefront Protection 2010 for Exchange Server provides ultimate protection for Microsoft Exchange server 2010 from viruses, worms, spyware and spam. 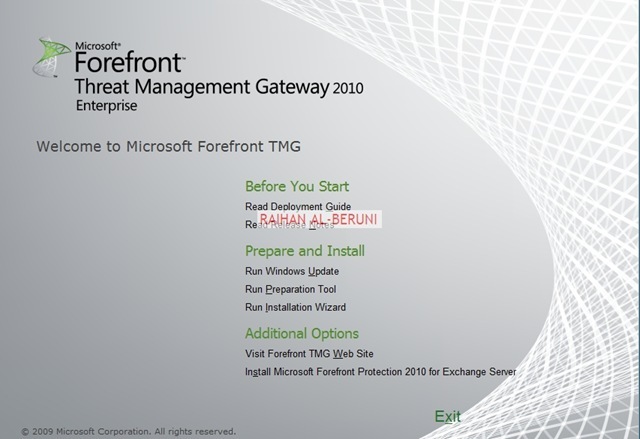 Forefront Protection 2010 is an additional component included in Forefront TMG 2010 Enterprise version. 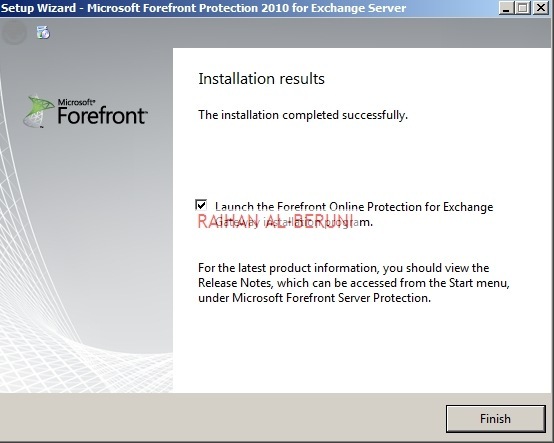 However you can download and install Forefront Protection 2010 in a server that is assigned Microsoft Exchange Client Access Server (CAS) role. CAS is internet facing server placed in a perimeter (DMZ). 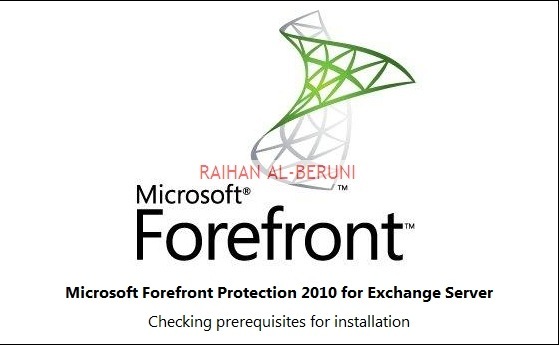 To ensure comprehensive protection, Microsoft Forefront Protection 2010 for Exchange Server (FPE) can be deployed on Exchange Edge Transport, Hub Transport, Mailbox server, or combined Hub/Mailbox roles. 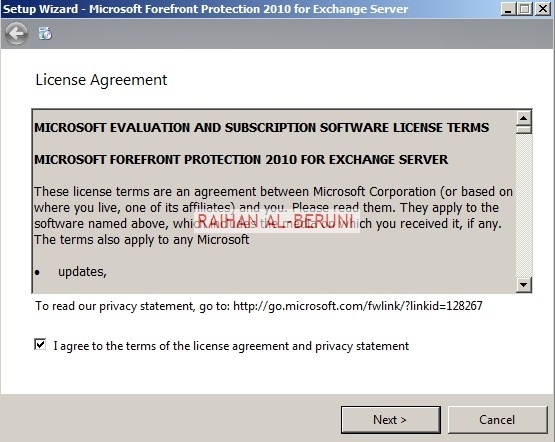 Forefront Protection 2010 for Exchange Server can be install combined with Forefront TMG 2010 if TMG 2010 installed in an Edge Transport server. 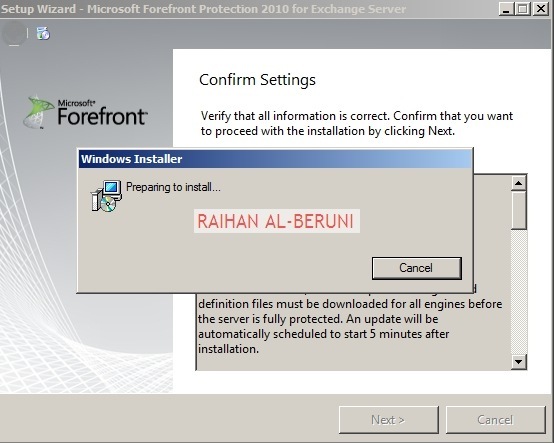 Systems requirement for Forefront Protection 2010 is similar to other Exchange Server Roles. You need additional 2GB free RAM and 2GB free disk space on top of all other requirements. Once you finish installation. 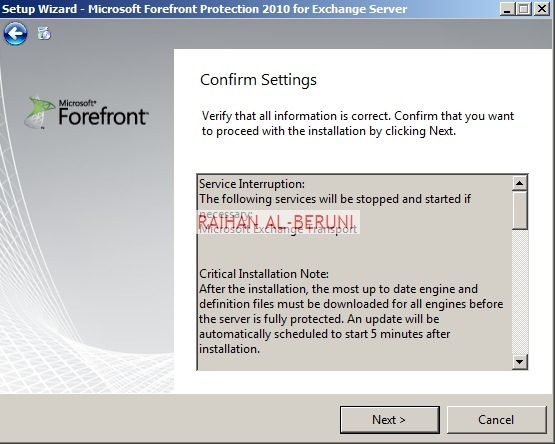 Open Forefront Protection 2010 from start menu. 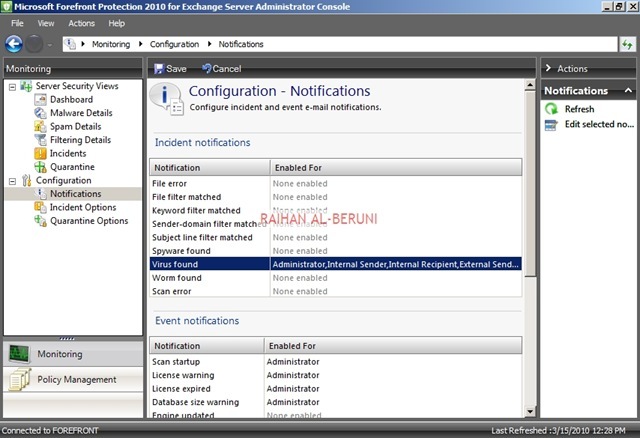 Now configure monitoring of Incident, quarantine and notifications. 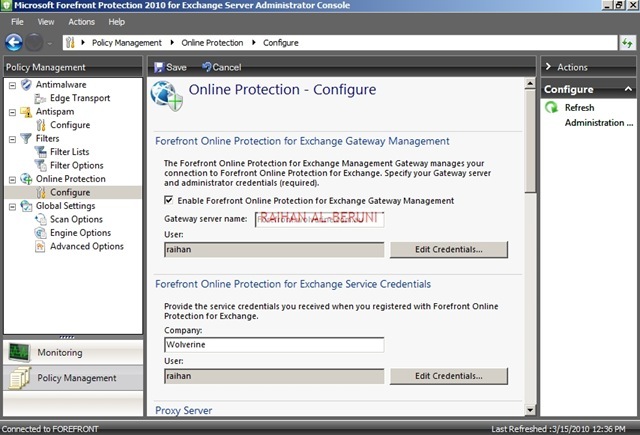 Now configure Policy Management. 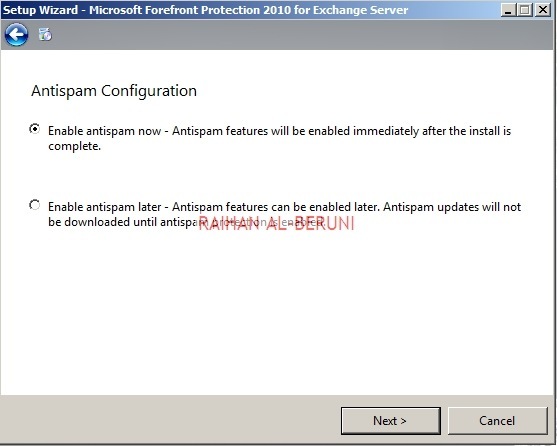 enable Edge Transport, Proxy, Antispam. Setup Engine, Setup internal and external scan. 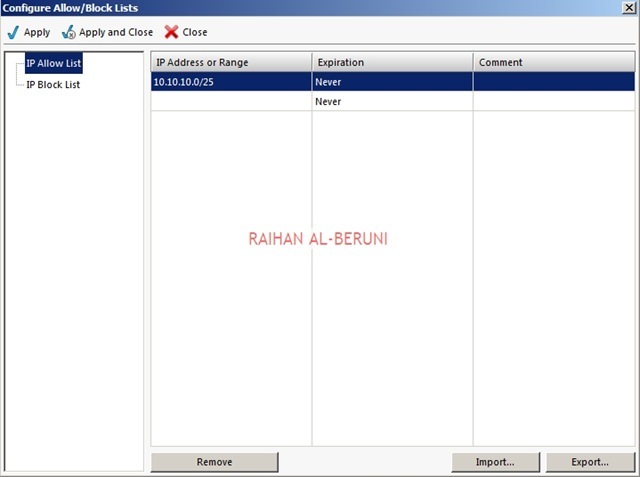 Place internal IP addresss in allow list. 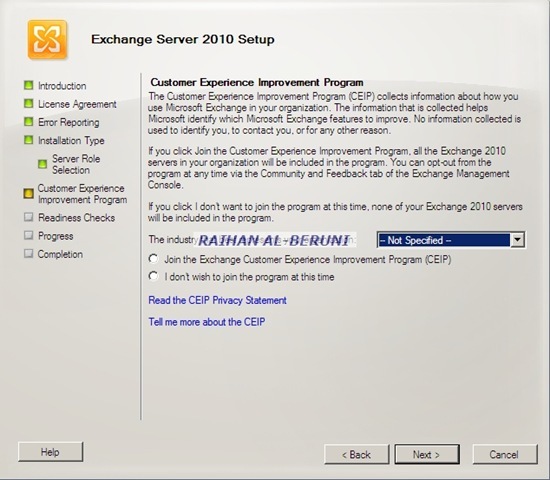 Edge Transport Role in Exchange Server 2010 provides an important layer of security between external and internal messaging infrastructure. 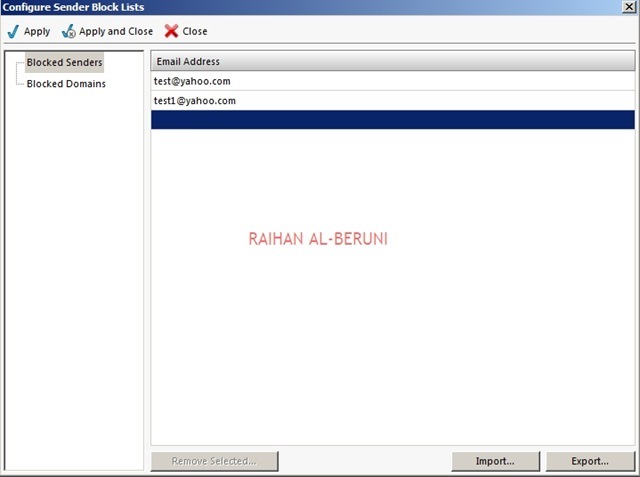 The Edge server analyses messages and can identify spam, content, connection trends and take the appropriate action to prevent delivery of potentially harmful content, spam, and other undesired messages. 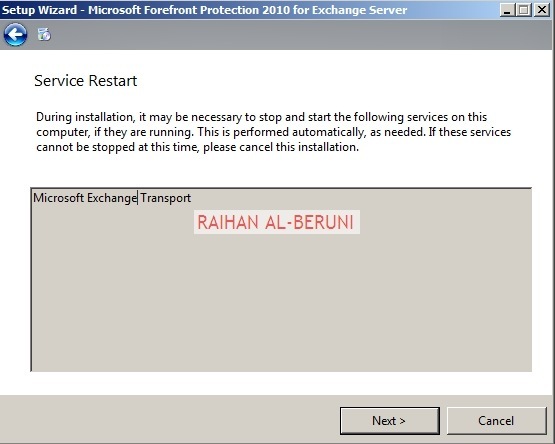 So, all message coming to and going form entire organization scanned through Edge Transport Server and verify with the policies deployed in it then pass through toward external networks. 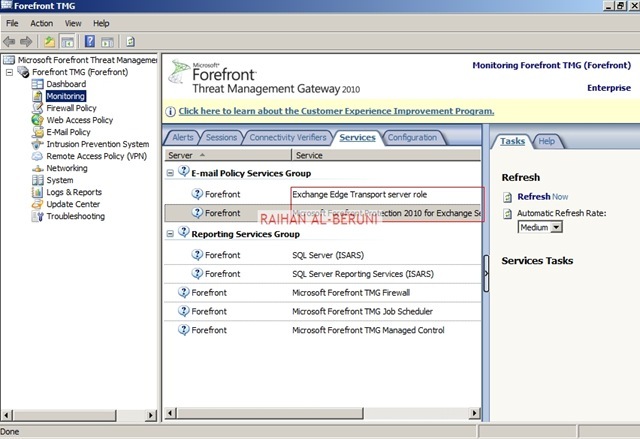 The Edge Transport server plays a vital role in the messaging infrastructure, protecting the organization from attack and the preventing delivery of unnecessary email, which ultimately can save an organization’s reputation, reduce administrative overhead, and increase productivity. tab, you have to configure Content Filtering, IP Allow List, IP Allow List Providers, IP Block List, IP Block List Providers, Recipient Filtering, Sender Filtering, Sender ID and Sender Reputation through action pan. In the action pane, click New Edge Subscription>New Edge Subscription Wizard.